A: Yes, we are a preferred provider with Anthem Blue Cross Blue Shield. If you have a different insurance provider we bill them for out-of-network benefits. When you make your first appointment we take your insurance information to verify your coverage. Q: How long does it take to feel better? A: Generally once we start a customized elimination diet by day 10 most clients rate a symptom reduction by 50%. That’s due to removing any foods causing inflammation and anything unknown. What responds well in the beginning of the diet is what proves itself to be diet related. Q: I’ve tried everything for my health and nothing seems to work. How is this any different? A: Many of my clients report seeing different doctors, trying different medications, supplements and diets with no change in their symptoms. A food sensitive person will usually not respond as intended to medications or have reactions which are worse than the problem taking the medication for. 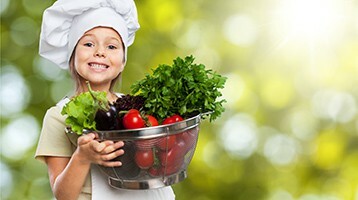 Many of my clients eat a very healthy whole foods organic diet and are still feeling poorly. This is reflective of food reactivity causing inflammation. When clients start the diet they are pleasantly surprised in a matter of days at how different they feel! Q: Will I have to avoid certain foods forever? A: Not at all. A food sensitivity is different from an allergy in that we can heal the gut lining through an anti-inflammatory diet and reintroduce those foods in a matter of 2-3 months.